Paris in winter isn’t typically the first thing that comes to mind when people think of the capital of France. 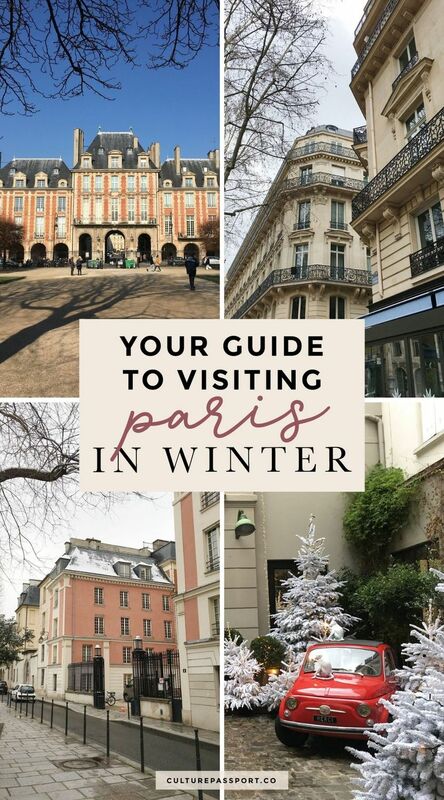 While Paris in spring tends to be a more common thought, visiting Paris in winter is becoming increasingly more popular and so I thought I’d share some tips for visiting Paris off-season. My very first trip to Paris was during December of 2007. It was very cold but that didn’t stop me from exploring this magical city and taking advantage of its many attractions: from culture to art to food! Beyond the typical Parisian experience, there are quite a few holidays during winter that can be super fun to spend in Paris. You could enjoy Christmas in Paris, New Year’s Eve in Paris or most suitably, Valentine’s Day in Paris and have an unforgettable experience. Even if you don’t visit Paris during a holiday, there are quite a few benefits to visiting Paris during the winter season. The saying is cliché but true: Paris is always a good idea. As long as you read the tips in this article, I’m sure you’ll have a smooth winter trip to Paris during December, January or February! Spending wintertime in Paris means you should be prepared for gray skies galore! Don’t worry, the city is so used to the perpetually gray skies year round, they even have a word for it: La grisaille. Beyond the weather, be prepared for reduced opening times for certain attractions during the off-season of November to March. Most places won’t shut down entirely like they do in the south of France, but some may have reduced hours. It’s best to look up the hours ahead of time for any specific attractions you’d like to visit! In Paris, Daylight Savings Time is observed, so the sun will set much earlier during the winter months. It is typically dark in Paris by 17:00 (5pm) at the latest. If you’re still with me on traveling to Paris in winter, then be prepared to experience some unexpected benefits to visiting Paris in the off-season! For starters, the winter season in Paris sees far fewer crowds than the spring, summer and fall months. While iconic sites like the Eiffel Tower will see crowds year round, you won’t feel like part of an ant colony as much during the winter. If you plan to visit Paris to go shopping, then January is the best time to go because France’s biannual sales happen during this time! Practically all major French retailers participate in this yearly tradition, called Les Soldes. I love visiting Paris in winter because you can sit outside on the heated terraces. No, Parisians do not give up their terrace lounging just because it’s cold outside! You can still drink and dine en terrasse thanks to the giant outdoor heaters installed above the seats of many Parisian cafés. It’s a wonderful feeling to be eating outside despite the cold weather. The heaters warm up the air so you don’t even notice it’s winter! 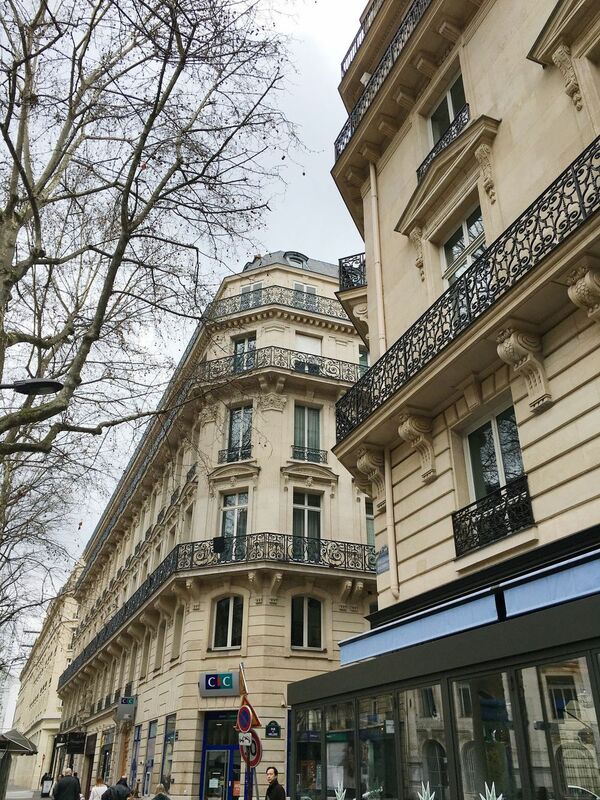 Another benefit to visiting Paris in winter are the cheaper hotel rates you can find. Now is the time to book that luxury hotel you’ve always wanted to stay in, but found it too pricey. Winter in Paris means you have the chance of snow – which anywhere else is probably bad news (looking at you slushy New York! ), but in Paris, snow is simply magical. It’s rare enough that each time it happens Parisians actually enjoy it! I have been to Paris many times during winter and still have not seen a good snowfall myself in person. If you do get to see the snowfall stick in Paris, consider yourself lucky! Lastly, crêpe lovers will delight in the holiday that is La Chandeleur – aka Crêpe Day! The average Paris winter weather you experience will be a mix of rainy or cloudy days. If you get lucky (depending on how you see it! ), you may experience the snow in Paris. I’ve only seen it snow once or twice while in Paris and even then, the snow melted once it hit the ground. It’s very rare for a layer of snow to form on the ground in Paris. What Paris lacks in snow, it makes up for in rain, however and it’s not uncommon for rain to fall on about a third of the days in a given month during winter. I suggest preparing for the rain by packing a warm waterproof coat and some rain boots that allow you to wear thick socks. Overall you should not be concerned about extreme Paris winter weather. The city does not have to worry about blizzards and other inclement winter weather the way some other northern European and northern American cities do. To give you an idea of what to expect, the average temperatures during winter in Paris will likely hover around 36 – 46 degrees Fahrenheit from December through February. Nighttime temperatures will dip into the 30s and daytime temperatures will reach into the 40s. In March, temperatures rise on average to a high of 54 and a low of 41. Swings in the temperatures of Paris can occur at any time so it’s a good idea to check your weather app each morning before leaving to dress properly. The wind can be quite strong in Paris, making temperatures feel much colder than they actually are. For this reason, Parisians are known to wear thick wool scarves around their necks to shield themselves from the cold winds! Winter Coat – Parisians love wearing wool coats, so you fill fit right in if you have this style of coat. Stay away from any extreme winter weather coats like North Face, or snow coats, as these will make you stick out like a sore thumb! A wool or waterproof coat will suit you just fine. Jacket – I recommend bringing a light jacket or sweater in case you get cold easily. It’s a great way to layer under your winter coat too. If I visit a museum while I’m in Paris in winter, I’ll check my heavy coat and wear my jacket or sweater as I walk through the museum. Wool Scarf – French people love their scarves and winter is the perfect time to wear them. Scarves make a huge difference in keeping your body warm and protecting it from the wind, so this item is necessary in my opinion! Comfortable Leather Boots – Leather or suede boots are what I see most often worn by Parisians on the streets during the winter season. Thick Socks – Temperatures will be low in Paris during the winter, so keep your feet warm with a few pairs of thick socks. Rain Boots – I wear rain boots year round in Paris but they are especially handy in winter. Wear them with thick socks to keep your feet warm and dry. Umbrella – If there’s one thing you need in Paris, it’s an umbrella! Pack your own, or grab a cheap one at Monoprix to keep your head dry during the rain. The best hotels for visiting Paris in the winter are centrally located, so you don’t have to travel far to see the sites you wish to visit during your trip. These boutique hotels are a nice balance between charm and price. Visiting Paris on a budget is tough, but these hotels offer the lowest prices around, though some are located off the beaten path. Getting to and from Paris in winter is typically an easy process. The city’s main airports offer taxis, buses and public transportation via bus or metro. You will fly in to Charles de Gaulle (CDG) or Orly (ORY) airport. Some European flights will land in Beauvais Tillé (BVA), the most economical yet impractical airport. My preferred option for getting to Paris from the airport is through Le Bus Direct, the city’s main bus transfer line. While a city bus will make all the local stops and take a really long time, Le Bus Direct goes directly between the city and the airport. There are several lines you can take and each one stops at 1 or 2 major meeting places in Paris like Gare de Montparnasse, L’arc de Triomphe, Trocadéro (the Eiffel Tower), and Gare de Lyon. A one way trip typically costs just 17 euros and you take a large coach bus with plenty of seating, and space beneath the bus for your luggage. If you have a bigger budget, then opt for an Uber or Uber pool. If you have a smaller budget, then you can take the public metro which gets you to Paris for just a few euros, but takes much longer than usual (over an hour). You can also take a high speed train into Paris if you are already in Europe. Coming from London, you’ll arrive on the Eurostar to Gare du Nord in the north. From the east, there is the train station Gare de l’Est, and coming from the south, there is Gare de Lyon and Gare de Montparnasse. From any of these train stations, it is very easy to hop on the metro or take a cab to your hotel. Like most major cities, Paris offers myriad ways to get around the city. Of course, some ways are better than others to get around Paris in winter! While the city is known for its bicycles, this mode of transport isn’t always practical during the cold temperatures of a Parisian winter. Similarly, taking a city bus can be uncomfortable when the doors open and close letting in cold air at each stop. For these reasons, the best way to get around Paris in winter is by taking a local taxi, Uber, or underground metro! There are so many things to do in Paris, but during the winter, you may want to opt for indoor activities over outdoor ones. Winter is the perfect time to explore Paris’ famous covered passageways. These indoor pedestrian shopping passages were first created in the first half of the 19th century. Though only a fraction of the original passages remain today, they are considered a quintessential part of the Parisian landscape. Because they are sheltered from from harsh winter winds, this is the perfect Parisian winter activity! I recommend starting at Galerie Colbert, and working your way north to Passage Verdeau. Winter in Paris is a great time to visit the massive art museums that the city is known for. 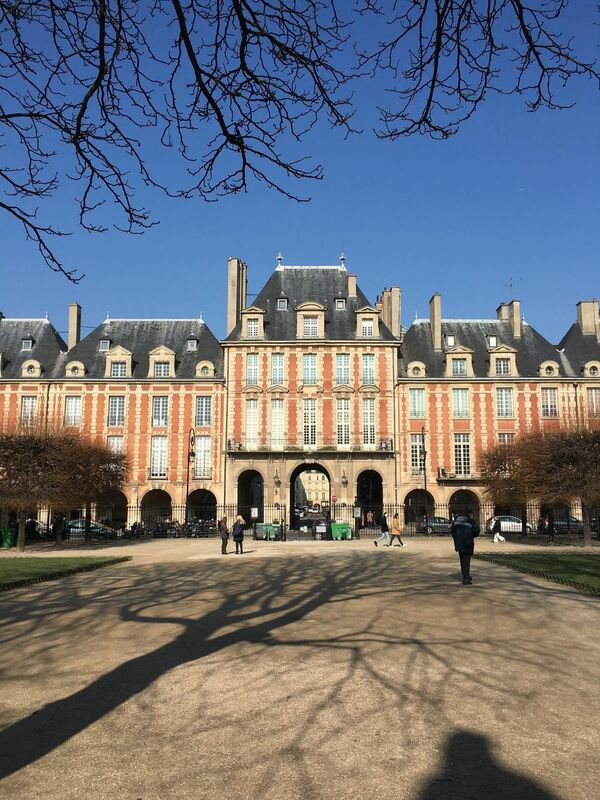 Getting lost in the Louvre or Musée d’Orsay could easily take up an entire day, and it’s a great way to escape the cold. Paris is famous for its cuisine and the city offers numerous cooking classes so you can learn how to make your favorite French dish, croissants, or even macarons! The French Cancan dance is world famous, so why not take some time to enjoy a live cabaret show while you are in Paris this winter? It’s a great indoor experience that will make you forget it’s winter outside! From late November to early January, you can take advantage of the holiday ice skating rinks that pop up around the city! 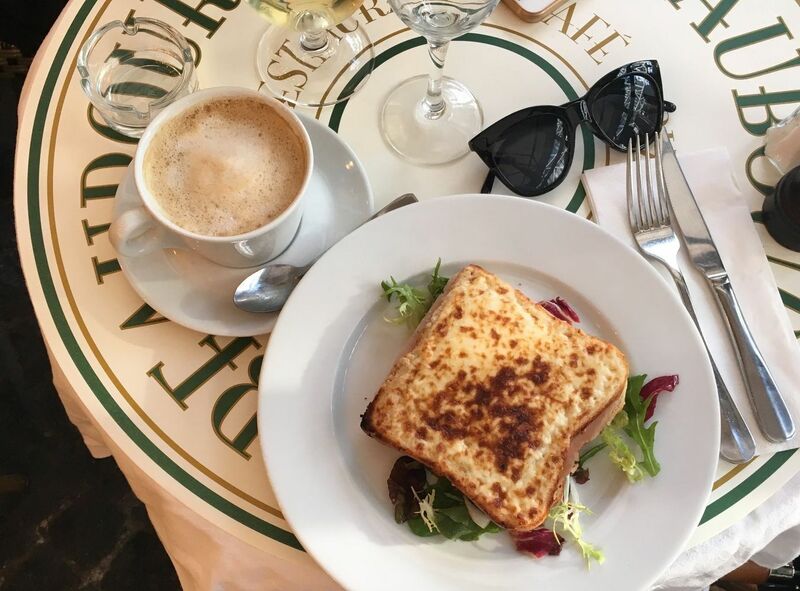 Nothing beats a warm meal on a cold day, and luckily Paris is a great place to eat well during winter! Le Train Bleu is a large Parisian restaurant in the Gare de Lyon train station of Paris. It is a high-end restaurant, but well worth it for the unique experience you will have. La Felicità is the the largest restaurant in Europe and the perfect place to eat during winter in Paris. The massive indoor restaurant is divided into several sections, each with a different menu. You stand in line, order your food, and then sit and enjoy your meal where you please. The restaurant also has a separate bar and coffee shop, so you could easily spend lots of time here if you wanted! If La Felicità seems too overwhelming, then try the Parisian restaurateurs other immensely popular restaurants: Pink Mamma, East Mamma and Ober Mamma. The Canard & Champagne restaurant specializes in two of France’s most popular consumptions: duck and champagne! It’s located inside one of Paris’ covered passageways, making it a great place to eat during Paris in winter. Taking inspiration from the seasons, Le Richer is the perfect place to experience Paris’ culinary culture in the winter. Breizh Cafe is a delicious yet affordable option where you can taste authentic Breton crêpes in the heart of Le Marais. There are a few special drinks consumed in Paris during the winter that you should know about. If you order one of these, then you’ll fit right in with the locals! Chocolat chaud – This is the French version of hot chocolate. It’s a warm and sweet drink that is best served on a cold winter day! Café de Flore is known for their chocolat chaud but most large cafés or brasseries will serve this typically Parisian drink. 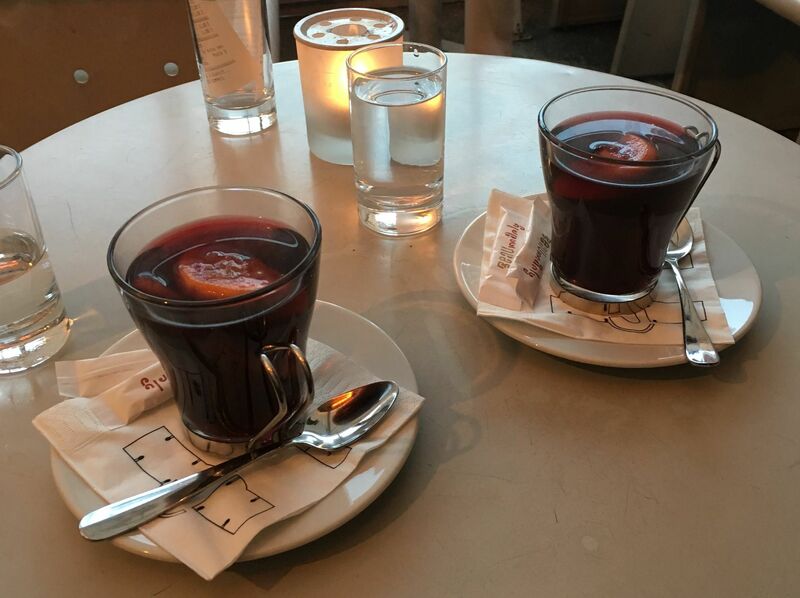 Vin chaud – This drink translates to “hot wine” and it’s a favorite among northern Europeans, including Parisians! While we don’t typically enjoy this type of drink in the US, Europeans love it. Vin chaud is typically made with a few spices, giving it a delicious taste. Café Viennois – This “Viennese Coffee” is quite popular during winter. It’s a latte topped with a thick layer of whipped cream. Very yummy in winter! Drinking coffee on a sidewalk table is a very Parisian thing to do and an experience you should not skip out on despite the weather! As I mentioned earlier, many cafés and brasseries offer outdoor heating to warm up their bistro tables outside. They are pretty easy to spot if you look under the awning. Telescope Café – Small interior but doable if you’re only with a few people. Fragments – Decent amount of seating available. You can eat breakfast or lunch here, too. Passenger Café – Plenty of seating available and large windows that let you see outside. 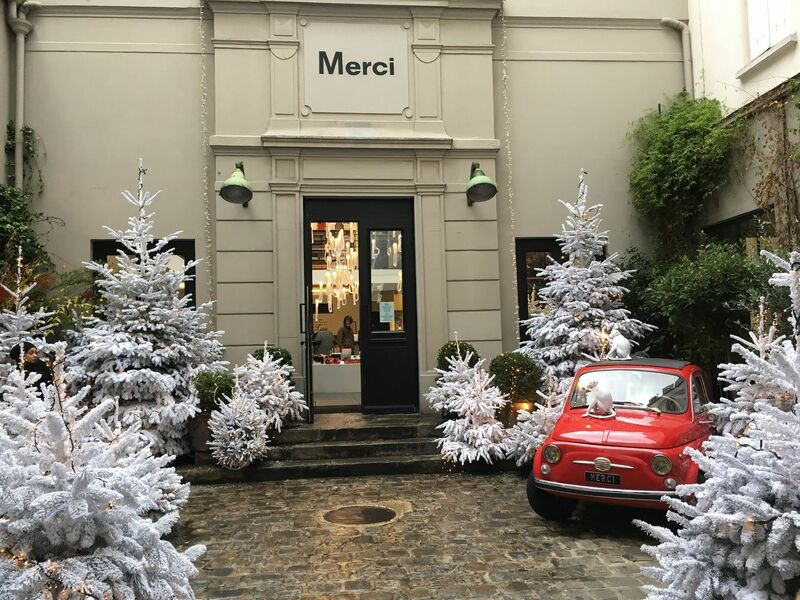 Shopping during winter in Paris is a fantastic idea. Once the winter season is halfway through, many retailers begin marking items down. The national period of sales runs from January through early February, and sometimes even later. If you visit after this period, you can still catch a few sales sometimes called ventes privées, which means “private sales” even though they are not private at all! The most convenient way to shop during winter in Paris is to visit a large department store like Galeries Lafayette or Le Printemps. Enjoy your winter trip to Paris! Lastly, it’s time to enjoy your trip to Paris in winter! Let me know your thoughts and suggestions for visiting Paris in winter in the comments! 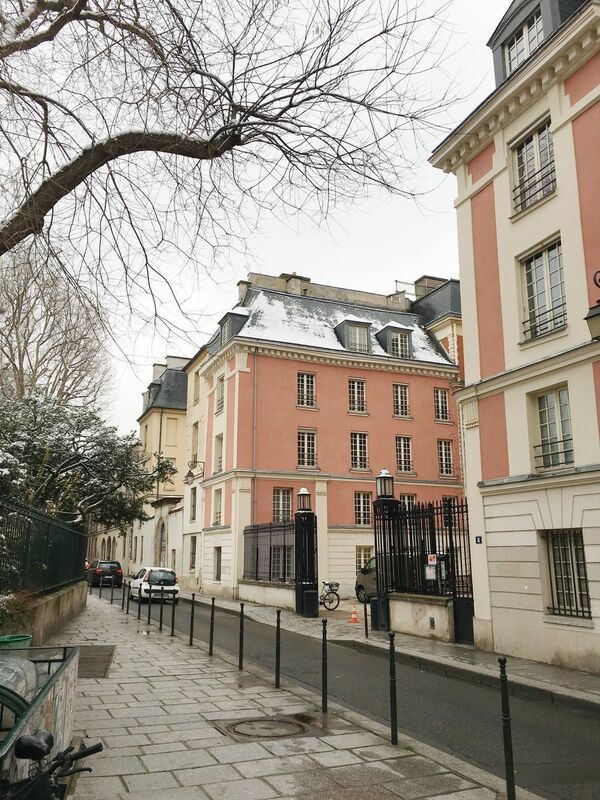 For those who have a (quite a) bit more budget: ParisPerfect.com has lovely 1 & 2 bedrm apartments in the 7th (usually with views of the Eiffel Tower) and in the Marais (4th).